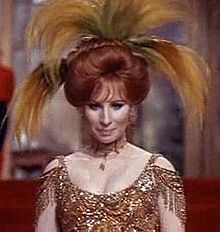 1969 Motion Picture, "Hello, Dolly". . Wallpaper and background images in the Barbra Streisand club. This Barbra Streisand photo might contain surcoat and 외투.